Watch full Ginga Eiyuu Densetsu Season 1 Episode 13 English Subbed full HD online. Ginga Eiyuu Densetsu Episode 13 English Subbed online for free in HD. When the Rain of Grief Comes. August, 22, 796 S.C. /487 I.C. : the invasion of the Empire has begun. 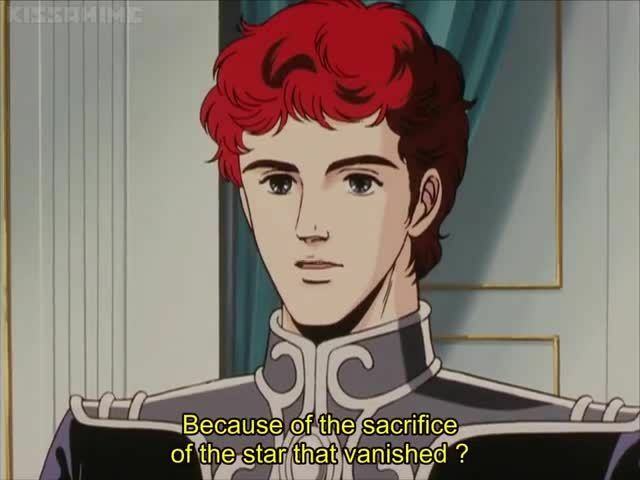 Reinhard implements a scorched earth strategy: all food is taken from the frontier zone, so the “Liberation force” of the Free Planets Alliance will be forced to feed the inhabitants. Reinhard plans to attack the invading fleets when their supply lines will be overstretched. Commodore Ulrich Kesler carries out the orders but, in the process, has to face someone from his past.